The Cinemizer OLED takes gaming to a new level. Forget your surroundings and dive into a game to see what it means to be "part of the action." The 3D stereoscopic rendering of some games creates a very intensive and unique gaming experience. The Cinemizer will make the game feel very real - it as real as it gets! Have you ever wondered what it would be like to actually be INSIDE the animated world that is the video game your playing? The stereoscopic 3D capability of the cinemizer OLED will put you inside the game so that you feel as if you are participating rather than just playing. The cinenizer OLED will connect to most any game system too. XBOX (one and 360), PS3 or PS4, Nintendo, PC, MAC, etc, using the HDMI connection. 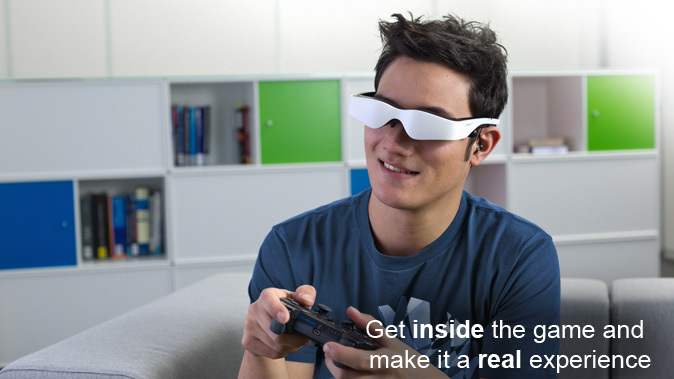 Displaying an eye-popping stereo HD/3D the cinemizer will produce the most amazing gaming experience you could ever imagine! Want to make it an EVEN MORE REALISTIC experience? 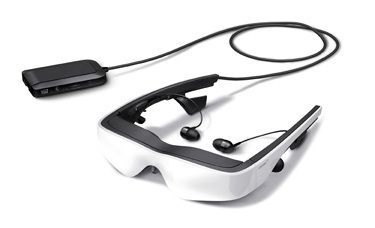 Get the fully immersive experience by adding the new Headtracker to the cinemizer OLED. The Headracker uses motion sensing technology to track natural head movements and sends the information to the game so that your view changes as you move your head. When your movements are tracked, the sensation of "virtually" participating in the game feels extremely life-like. Be careful though, you might forget that you are not really inside the game!